At Weidner Energy Savers we can handle all of your Pennsylvania and New Jersey air conditioner replacement needs including service and installation. If the air conditioning system in your home needs to be replaced in the dead of summer, you need a trusted team who can do it fast, right when you call. 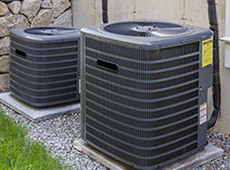 Weidner Energy Savers earns its reputation by providing the most phenomenal air conditioner replacement services in the area. Our certified HVAC technicians begin each visit with a full inspection, evaluation of the required work, and its projected cost. Weidner Energy Savers is committed to you and good old-fashioned honesty. That means we only recommend an air conditioner replacement when there is no other economical option. As always, we will keep you completely informed and seek your approval again before continuing any work. 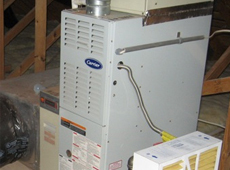 We will provide various options for your air conditioner replacement. Like many homeowners, we understand purchasing a new air conditioning system can be a daunting task. There are many different options including single stage systems, systems with dual compressors, humidity control thermostats and more. Our HVAC technicians will ask you questions to fully understand your particular situation and concerns and then provide various options to help determine what air conditioner replacement system is best for you. What Should I Consider For My Air Conditioner Replacement? 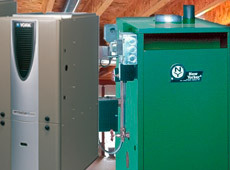 Installing a high efficiency air conditioner replacement system means you could save significantly on your monthly bill. At Weidner, our highly trained HVAC technicians are experienced with modern air conditioner replacement systems and can install them quickly and efficiently. 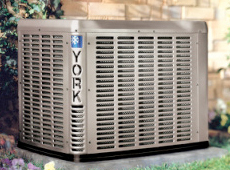 Undeniably, our company has evolved to become the most trusted air conditioner replacement service company in Reading, Allentown, Bethlehem, Northampton, King of Prussia, Westlawn, Quakertown, North Wales, Willow Grove, Doylestown, Washington Crossing, Phoenixville PA also in Somers Point, Sea Isle City, Brigantine, Ocean City, NJ. As your local air conditioning contractors, we are dedicated to providing you with top of the line air conditioning products, repairs and contractors. Each air conditioning contractor that is hired and dispatched to your home goes through a thorough evaluation and background check, so that you can be 100% confident in the HVAC contractor assigned to complete your air conditioner repair or install your air conditioning system. If you need an air conditioner replacement fast and are looking for a professional air conditioning contractor, call us at Weidner Energy Savers today! Our air conditioner replacement and installation services are also some of the most affordable in the area. With our skilled HVAC contractors at Weidner Heating and Air Conditioning there are never any hidden fees or outrageous upfront costs. Our air conditioner replacement and installation services are designed to fit most budgets and is sure to have your home ready for summer in no time.